Learn about identifying, growing and using Australian Indigenous Plants for Food. There are many Australian plants that are edible, and even some that are in very high demand as foods throughout the world. This course focuses on the cultivation of Australian bush foods and is suitable for anyone wanting to grow these plants commercially or just in their own garden. Discuss the nature and scope of bush tucker plants. Review the way bush tucker plants are accurately identified. Describe how to cultivate a range of bush tucker plants. Describe how bush foods are harvested from the wild and how to set up a cultivated bush food garden. 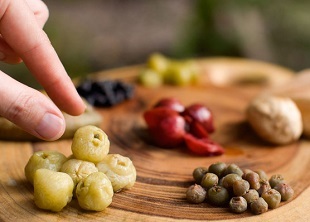 Outline the cultivation, harvest and use of various bush tucker nuts and seeds. Describe the preparation of bush tucker. Develop your ability to identify, select, and develop processing procedures, for a range of varieties of bush food plants selected.